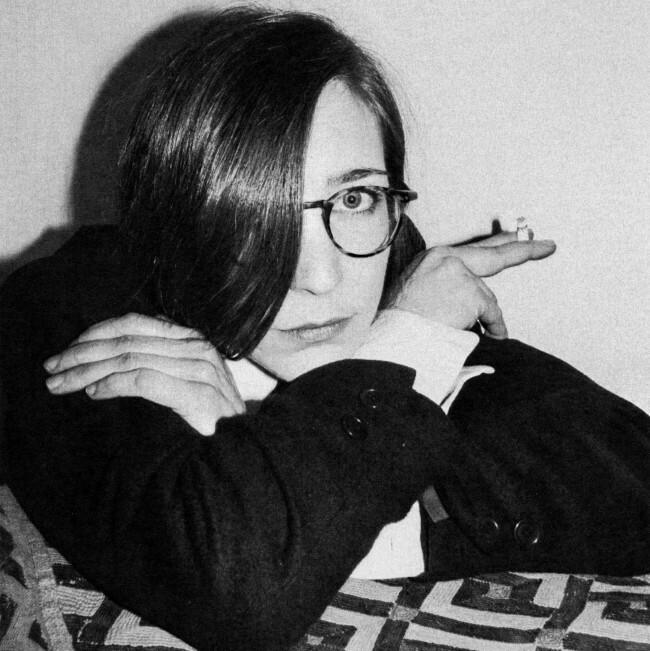 Trying to describe Cologne-based Lena Willikens’ style, puts us back to baby ages when we more or less struggled to find the right geometric brick at playing Big Baby Block. Our favourite lady for monthly Sentimental Flashbacks, just released her debut Phantom Delia EP on Cómeme Records so it’s time for an EDHID chat. Hi Lena! When was your first contact with music and how did your interest deviate from punk to more electronic sounds? I remember sitting in my mother’s car when I was around 4, and listening to a NDW compilation with songs of Grauzone, Kraftwerk, Zaza etc. My absolute favourite was Grauzone’s ‘Eisbär’! I think this was also the first time of experiencing my musical taste, i.e. being able to differentiate between music I do like and don’t like. My interest in electronic music evolved as a teenager when I discovered dub music. Dusseldorf has an interesting musical heritage ranging from krautrock to early electronica. How important was bethinking oneself of the local musical heritage and to put a new complexion on it? The main impulses for Dusseldorf’s musical underground scene came from the Kunstakademie, which is the local art school. At the time when I moved to Dusseldorf for my studies, I immediately started researching about the historic relationship between the Kunstakademie and the local underground music scene. The nexus dates actually back to the ‘70s with the legendary club called ‘Creamcheese’, continuing with ‘Ratinger Hof’ in the ‘80s, the ‘90s with an illegal club called ‘Ego’ and eventually ‘Salon des Amateurs’ nowadays. After a short period, I met Detlef Weinrich alias Tolouse Low Trax, who is also a former art student of the academy, and I started to listen a lot to his amazing mix tapes! Hence, I would say that the present and the past Dusseldorf scene had a big influence on my musical spectrum. However, I can’t neglect Cologne’s influence as well, which is my hometown now. You had several roles at Salon Des Amateurs from being a bouncer to working at bar or eventually standing behind the decks since 2009. How did your residency influence your style of DJing? I always felt and feel the freedom to play whatever I want at Salon. Actually, the name itself indicates all — it’s a place for amateurs, in the sense of ‘someone who loves what he does’, and where it’s more about sharing good music than playing technically perfect sets. Hence, it’s common for people to expect weirdness or even surprises, simple because that´s what they just used to get at Salon for many years! Your taste in music is quiet eclectic from proto-techno to acid, raw house, industrial synth-wave or other obscure sounds. How important was steadfast- and straightforwardness for you to refuse any pigeonholing? I never had a strategy of refusing any pigeonholing. In a nutshell, I just don’t care about genre borders. Quite often, I can’t even tell you which genre it is because this is not of my interest. I don’t want to analyse music; I want to enjoy it! I mean we are all a kind of a patchwork consisting of many different influences, of which most of them are out of our control. For instance, the music our parents where listening to, the culture we were born in, the selection of our favourite record store etc. If you, as a DJ, focus on, let´s say only one or two genres, it seems to me quite often more like a strategic and intellectual decision and this is not my approach to music. My approach is purely emotional. There is an interesting quote of Jackmaster like ‘I don’t do eclecticism just for eclecticism’s sake’. How does your monthly radio show Sentimental Flashback help you to showcase your diversity compared to playing a house or techno club? I agree with Jackmaster! That´s also why even mentioning eclecticism is kind of boring for me somehow, because it just feels natural, you know what I mean? My regular radio show Sentimental Flashback is important for me because it allows me to maintain my musical focus on non-dance-oriented records as well and it helps me to avoid a kind of pragmatism in searching for new records. I believe that also my club sets benefit from this approach! Your debut EP Phantom Delia just came out through Cómeme. Even though odd, do you think debuting with a LP would be easier to address the high expectation level? I don’t know actually! I never thought about that. And somehow Phantom Delia feels already like a mini album anyway. I mean six tracks on an EP isn’t bad, isn’t it? How did your collaboration with Melani Wratil as Titanoboa evolve? Can we expect a video of you playing Theremin soon? Melani and I were making noise almost every Sunday since more than two years. Over the last months, however, my travel schedule increased significantly and I have less and less Sundays free for playing together, recording and rehearsing, and it´s really difficult to find spare time for it right now. But let’s see what the future brings! Based on your experience of working in a record store, do you think that people re-discovered the value of a pre-selection in times of digital mass releases? I really hope so! In reality yet, I see many record stores struggling with the situation. I think a really small record store with an extraordinary and exclusive selection can be successful, like Redlight Records in Amsterdam for example, but you have to be outstanding and small as a record store nowadays to survive! Being honest, I wish it wouldn’t be that important for me! haha! It requires quite a lot of energy! On the other hand, however, it’s just great to see people from all over the world reacting to your mixes, radio shows, videos etc. What’s next for Lena Willikens? Oh, don’t ask me! For the next week, I have to do a lot of boring paper work for my U.S. working visa and after that I can (hopefully) look forward to Cómeme’s U.S. tour together with Matias Aguayo and Christian S. in March! Keep your fingers crossed! Lena Willikens’ Phantom Delia EP out via Cómeme Records since January, 12th 2015.